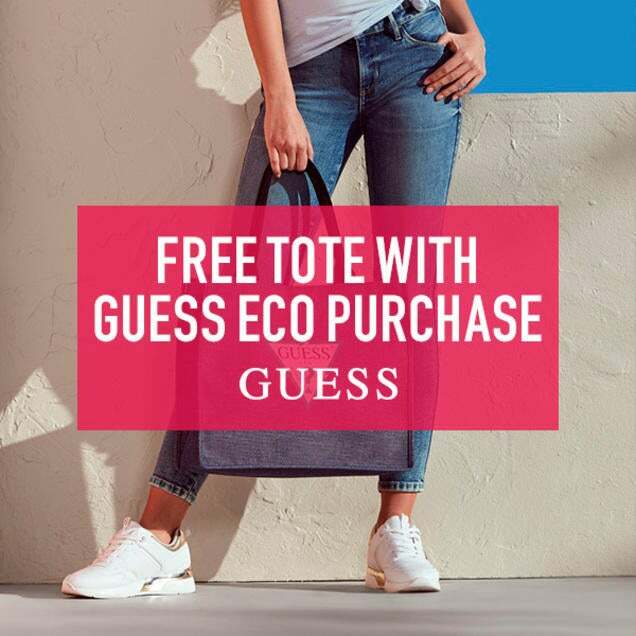 Free Tote with GUESS Eco Purchase! Introducing a collection made with environmentally conscious materials and manufacturing processes. Receive a free tote with every GUESS Eco purchase!